Home Page / Blog / Chopping Block Cooking Tips / Chopping Block–July: a Great Time to be in the City! 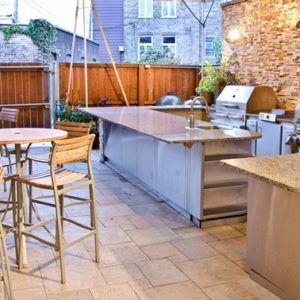 The Chopping Block is especially excited for this month because we’re opening up our outdoor patio on Thursday nights so you can enjoy the live music while exploring our wine and beer list as well as our specialty cocktail of the evening. We’ll also have a complimentary snack prepared, so stop by for some tunes on the patio. July is also when we begin our popular Farmers Market Tour and Class. 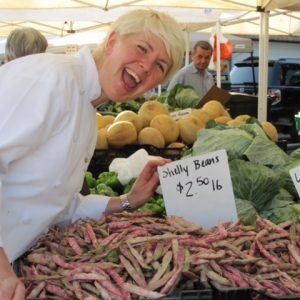 Students in this class visit the farmers market with one of our professional chefs, get to know the farmers and their products and then come back to The Chopping Block for an impromptu cooking class utilizing the market’s bounty. You’ll learn how to use the seasonal ingredients we purchase which will help you feel more confident about your solo market adventures. Take this class over and over for a different experience each time! Sign up for Thursday, July 14 at 6 p.m. and Thursday, July 28 at 6 p.m. now. Another tour that highlights Lincoln Square is one hosted by Cardamom Kitchen. Chef Susan Pachikara leads guests on a historic and culinary tour of our favorite Chicago neighborhood. Did you know there’s a piece of the Berlin Wall at the Western El stop? Did you know the fountain in Giddings plaza was once computer generated to have beer flowing through it in a national beer commercial? 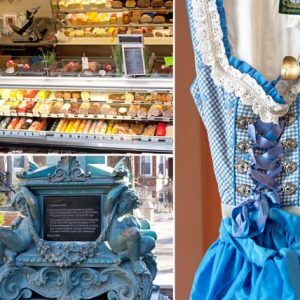 These little gems of info, plus snacks and stops at our favorite local eateries such as Gene’s Sausage Shop, Savory Spice Shop and of course The Chopping Block, make for a fun-filled day. Here’s a video of what to expect from the Eat & Explore Tours, which also include the Devon Avenue neighborhood. Thursdays are also the time to shop local and be rewarded. The first 50 shoppers who spend $300 between a minimum of 3 local businesses on Thursdays until Labor Day will receive a $50 gift card. 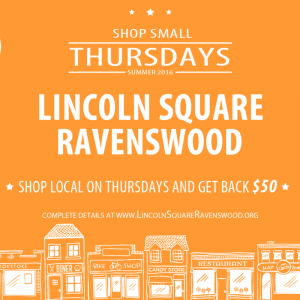 The Lincoln Square Ravenswood Chamber of Commerce hopes the new Shop Small Thursdays encourages people to direct a portion of their shopping budget to the local community. Does all of this inspire you to get out on Thursdays in Lincoln Square? We hope to see you soon!